Nevada law defines reckless driving as: (1) driving a vehicle in willful or wanton disregard of the safety of persons or property; (2) driving a vehicle in an unauthorized speed contest on a public highway; or (3) organizing an unauthorized speed contest on a public highway. In other words, any person who drives a vehicle carelessly and without due care, at a speed or in a manner that endangers, or is likely to endanger, any person or property, can be found guilty of reckless driving. If a police officer or highway patrolman sees you speed, tailgate, weave in and out of traffic, ignore traffic signals, or change lanes without signaling, or racing another vehicle, you may get cited for reckless driving. Some reports indicate that reckless driving in Las Vegas causes more fatalities than drunk driving does. Reckless driving is a misdemeanor that carries a fine of $250 to $1000. You can even be arrested and taken to jail if cited for reckless driving. Reckless driving is treated as a criminal matter and is like getting three tickets in one. Although speeding may be a component of reckless driving, it is not a necessary element, nor does speeding alone constitute reckless driving. 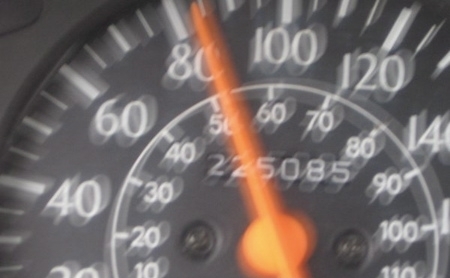 In Nevada, reckless driving is considered to be more serious than speeding. In some reckless driving cases, Las Vegas Attorney Brett Whipple can be hired over the phone and his clients are able to avoid going to court. Attorney Brett Whipple has the experience and knowledge to be an effective attorney and advocate and has won many cases. Payment plan options are available for criminal matters and reckless driving traffic tickets. We encourage you to call us or fill out our Contact Form at anytime for a free no obligation, reckless driving consultation. Reckless Driving lawyer Brett Whipple can help you negotiate a lower reckless driving fine and fewer points on your driving record. If your case must go to trial, we have the knowledge and experience necessary to give you the best possible chance to beat your reckless driving citation.